The fashion retailers Next and New Look opened the doors to their new stores in Perth yesterday (24 November), on the site of the town’s former Woolworths store (#197). My friend Steve Hack was there, and took these photographs for Soult’s Retail View an hour or two before the stores’ official openings. 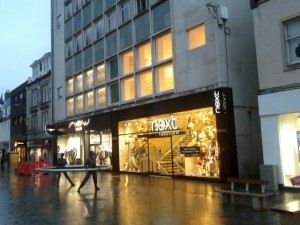 I understand that both Next and New Look have relocated from existing premises in Perth, with the new stores providing a significant increase in space and range. 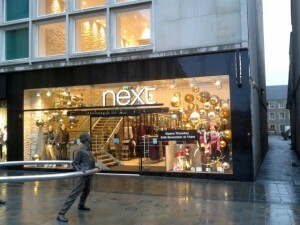 While neither Next nor New Look have been significant takers of ex-Woolies sites across the country, both have used the opportunity to improve their offer in selected locations – previously, for example, I wrote about Next’s move into the former Woolworths in Darlington, replacing two older, smaller stores. 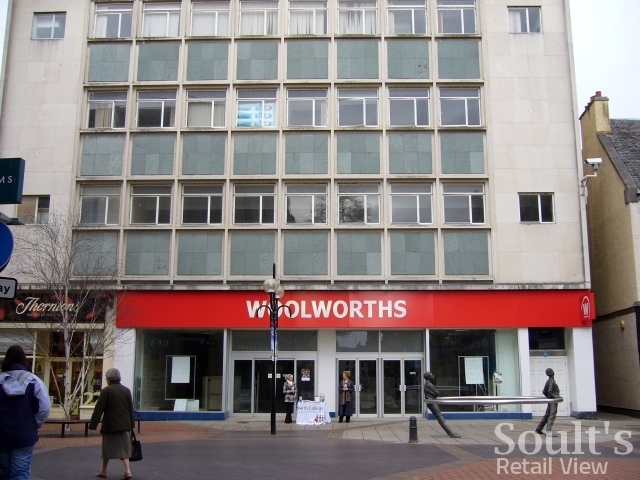 Though Scotland only makes occasional appearances in this blog – partly due to my fairly sporadic visits – Perth’s Woolworths has some significance as one of the first that I photographed, back in February 2009, just a few weeks after Woolworths’ demise. When I stopped off in Perth, Soult’s Retail View was still five months off being launched, and – though it seems remarkable now – I didn’t bother to track down or photograph Aberdeen’s former Woolworths when I’d visited there earlier the same weekend. That would certainly never happen today! 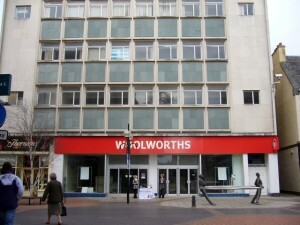 Though Woolworths had occupied its spot at at 111-119 High Street since 26 September 1925, the building’s current appearance dates from its 1966 reskinning. It’s fair to say that when I visited, the building wasn’t looking its best – it had a generally careworn look, made worse by the blank frontage of the old Woolworths shop, and a strangely unsymmetrical appearance due to a Thorntons shoehorned into the side. While the 1966 image at 100thBirthday.co.uk shows that the modern-day frontage was always divided in this way (with a branch of Salisburys, the erstwhile bag retailer, in place of Thorntons), it was clear that successive shopfront and fascia interventions over time had made the join more apparent and incongruous. It’s therefore a pleasure to see that the property’s latest revamp has markedly improved its appearance. 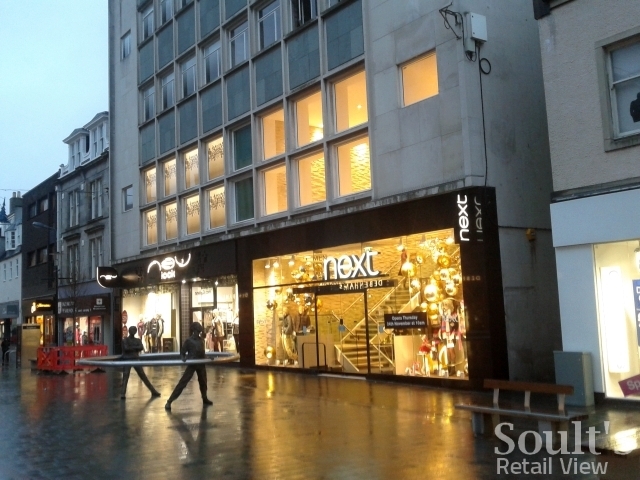 On the ground floor, Thorntons’ move to new premises along the street has allowed the insertion of sleek, modern shopfronts across its whole width that better match the proportions of the floors above. Indeed, the appearance of the first floor has been improved too, with some of the infill panels removed and new glazing inserted. Part of the reason for the Perth Woolworths site being empty for so long is that there were, until quite recently, plans to demolish it and create a new street that would connect the High Street with the Concert Hall. For a building that nearly got the chop, you do have to say it’s scrubbed up pretty well.